In 2012 NIOSH established new testing and certification requirements to more effectively ensure the performance, reliability and safety of CCER’s. NIOSH has recently issued the first approval for a respirator that complies with the new requirement; this comes nine months ahead of the established deadline set for companies to transition to meeting new requirements for Closed Circuit Escape Respirators (CCER’s). The intent of the new requirements set by NIOSH is to strengthen emergency respiratory protection for workers relying on such devices during life threatening emergency escape situations. Closed circuit escape respirators are some of the most compact technology available that is equipped and capable of providing self-contained, breathable air to workers in emergency situations in industries such as commercial shipping, mining, tunneling operations and in locomotive cabs on freight trains carrying hazardous materials. CCER’s are often carried on a worker’s belt or stored nearby so they can easily be accessed in the event of an emergency. The improvements made to CCER’s under the new standard include features and capabilities such as sensors that warn of any change in the devices performance and enhanced capabilities that allow for the device to better withstand difficult environments. NIOSH issued the first approval to Avon Protection Systems Inc. for the company’s ER-2 EEBD, a device which provides the user with twenty liters of oxygen to escape from atmospheres considered to be an immediate threat to life and health. Closed-circuit technology recirculates and replenishes the users breathing air, removing carbon dioxide and replenishing oxygen from a chemical reaction or by a compressed oxygen supply. 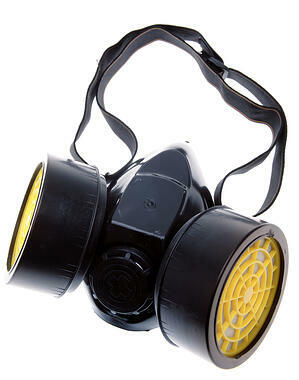 The newly certified respirator relies heavily upon compressed gaseous oxygen.